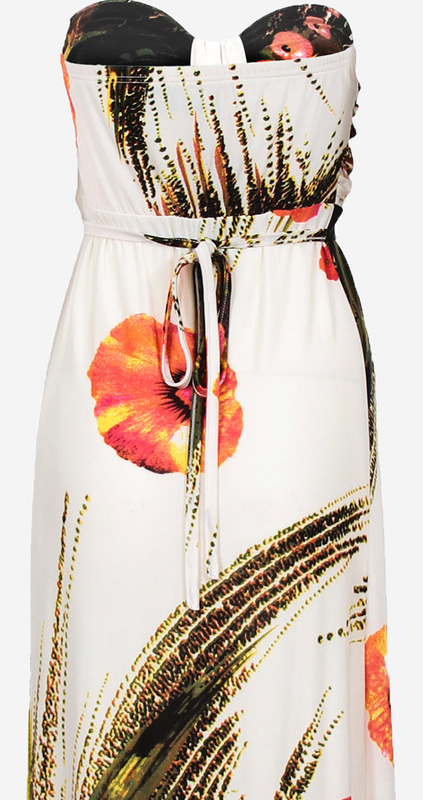 Pussycat London Flower print stretchy jersey maxi dress. Featuring strapless neckline with gathered bust panel. Detailing a self fabric thin tie belt at the back.